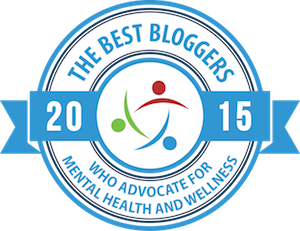 This post is written and submitted by Alto Strata, she runs the withdrawal group Surviving Antidepressants. 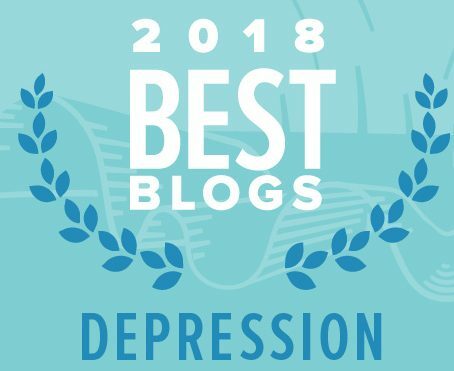 (SurvivingAntidepressants.org) She has also written other informative articles that appear on Beyond Meds, Protracted withdrawal from SSRIs and SNRIs antidepressants and GABA/Glutamate cycle in withdrawal from psychotropics– SSRIs, benzos, and Lamictal. As the “chemical imbalance” theory wanes, the “neurogenesis” theory justifying antidepressant prescription arises. The “chemical imbalance” theory spawned countless scholarly and scholarly-seeming articles and books as doctors nodded solemnly over their brilliant biological insights into the brain and emotions. Unfortunately, these insights have been demonstrated to be based on bogus research, wishful thinking, and a bandwagon effect stoked by pharma money. How embarrassing for psychiatry’s intelligentsia. But there still has to be a rationale for prescribing antidepressants, so they came up with something else. Now we have the “neurogenesis” hyperbole, with its corollary that would have depression as a degenerative brain disorder. If “chemical imbalance” doesn’t exist, there has to be some fundamental flaw in the brains of people who are unhappy, right? And there has to be some stick to use to drive them to drugs, so psychiatry has enthusiastically taken up the cudgel of depression as progressive brain damage. The progressive brain damage trope doesn’t fly — clearly many people recover from “depression” and other mood disorders without drugs and seem to be as good as anyone else. It is an absurdity and an offense to humanity to argue, for example, that 2 weeks of grieving, which can be diagnosed as major depression, becomes brain damage if allowed to continue longer. In general, the brains of “depressed” people, even ridden with all those diseased circuits, work fine. Many are even intellectual leaders and creative geniuses. The association of depression with other health issues is also suspect, as the statistics depend on what you call “depression.” If it’s the thing that bothers 25% or 40% or 50% of the population (depending on which nonsensical numbers you follow from the psychiatric industry), the association may depend on other lifestyle factors not noted in the studies, including sedentariness, eating junk food, and working at a soul-killing job. “Depression,” like all mood disorder diagnoses, is a slippery diagnosis. It may just be being alive that causes health risks. Then there’s always psychiatry jiggering the studies to suit its goals. For example, the recent Pan 2011 study of stroke in women found a moderate association between antidepressant use in depressed and non-depressed population and elevated incidence of stroke. The depressed non-medicated population had normal stroke risk. However, contra the study’s own findings, the authors (Harvard Psychiatry) perversely concluded it was depression that caused elevated risk, and this was the big news blasted all over the media. As for antidepressants causing neurogenesis – this may have been seen in mice but the degree and quality of neurogenesis has never been demonstrated. For example, neurogenesis induced by antidepressants has never been compared, even in mice, to neurogenesis induced by exercise. And, in humans, to reading a good book, or anything else that might be mental stimulation. Whatever neurogenesis is generated by antidepressants needs to be balanced against adverse effects, again completely absent in the blather of the learned. Is it possible that antidepressant-induced neurogenesis, if it exists, is not an unmixed good? As usual, psychiatry relies on studies that haven’t been properly controlled, where whatever benefit is claimed for antidepressants has not been compared to less-invasive treatments or even normal fluctuations in emotional state. “Chemical imbalance” is dead, “neurogenesis” rules for now, and psychiatry rebrands itself “neuropsychiatry” to justify its mainstay — the arbitrary prescription of poorly studied drugs. Same baloney, different sandwich.